Currently we export to Angola, Reunion, Mauritius, Seychelles and Madagaskar. We export dry vegetables, (potatoes, onions, pumpkin, gem squash, etc.) to Angola and occasionally fruit packed in reefer containers. Exports to Reunion and Mauritius are usually air-freighted. 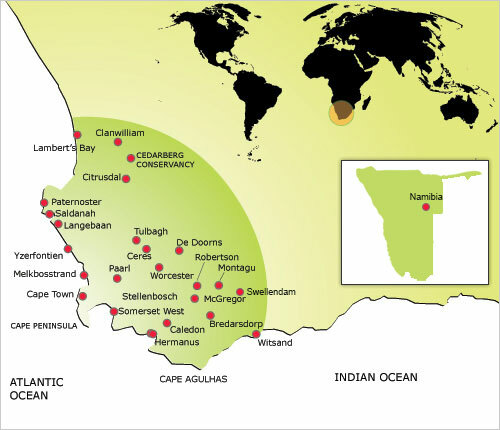 On the right, is an outline of the area in the Western Cape that we deliver to. 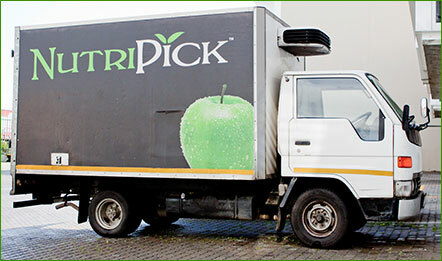 We operate a fleet of 25 vehicles as well as 2 refrigerated trailers with which we offer our best service at all times. We deliver daily to as far afield as Citrusdal in the north, Montagu in the east and Bredasdorp in the Southern Cape.